When Microsoft released spectator view last month, I was pretty darn excited. I was fortunate enough to get into the Wave 1 HoloLens release and have been happily building and consulting on mixed reality for nearly a year now. Mixed Reality is pretty incredible, but sharing the experiences you build with others is, in a word, challenging. Spectator View is open-sourced (MIT License) on github. If you have developed anything for HoloLens, adding the functionality to your existing app is actually very straightforward. It’s basically a derivative of the mixed reality capture that has been available since launch. What’s new is the ability to use a standard camera for video and composite mixed reality onto the video stream in real-time. It’s all still a bit finicky, but getting the code up and running only take a couple of hours at most. What happened with the hardware? While the software is well laid out, the hardware and build instructions are a complete mess. 14 bolts in 3 different metric sizes (I love metric, but all camera equipment uses 1/4”-20 or 3/8”-16 screws). 8 individual parts. And they recommend to have it machined out of aluminum. And you have to partially disassemble your $3,000 HoloLens. Then, after all that craziness, the “alternate” setup is a clamp with some padding. Who would trust their HoloLens to a janky clamp and foam? I printed out their rig to try it. Then set off to improve on it for everyone else like myself who doesn’t want to drop a thousand dollars at a machine shop. All three of the brackets are 3D Printable on most consumer 3D Printers. With a build volume of just under 200mm95mm75mm, and two of the three are designed to print without any supports. The center mount point is positioned at the HoloLens’ center of gravity at a height offset that should fit nearly every DSLR camera on the market today. You will only need to remove the nose-piece before installing any of the mounts. 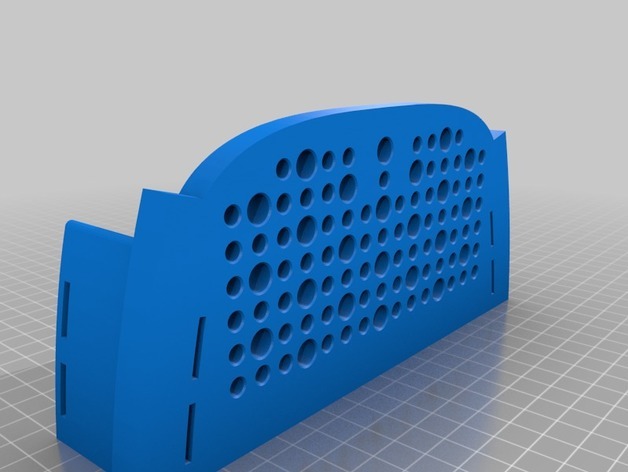 You will need to drill each screw hole out to size after printing. I did this to enable you to use M5 machine screws if desired, or drill out to use 1/4”-20 screws. I used a #3 drill bit with very good results, but you should measure twice and drill once. I highly recommend using either PETG or ABS as your print material. My mounts are all printed with Hatchbox PETG @ 250c on a e3dv6 hotend with .2mm layer heights. I used 50% infill and 3 perimeter layers with 8 layers top and bottom. This will produce an extremely rigid part. I created an Amazon wishlist for all of the mounting hardware I found really useful. Check it out here: https://www.amazon.com/gp/registry/wishlist/2CVA3M6A6YEED/ref=cmwllisto3? The first mount option is for folks who want the absolute least weight. It has a single hot shoe screw mount. You will need to purchase a set of Velcro cable ties, a Tripod Screw hot shoe adapter and one 1/4”-20 nut. You will need to print this mount with supports. 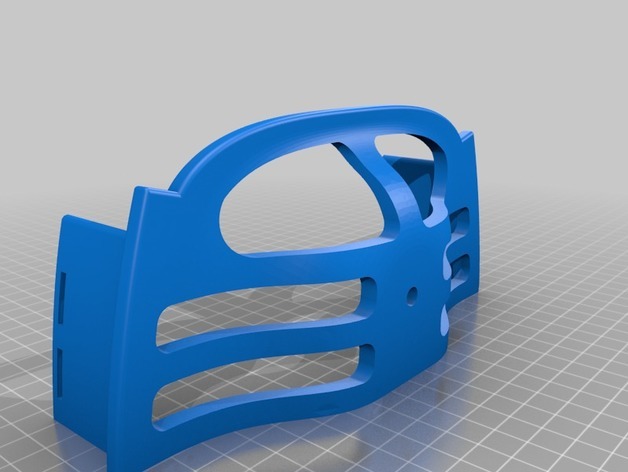 Print, insert into the cutouts on each arm of the HoloLens and use 4 cable ties through the cutouts to secure the arms to the mount securely. Ream the tripod mount hole with a drill bit. Press fit the nut in the cut-out (you may need to use a pair of pliers or a clamp to get the nut securely pressed into place) and then secure with the tripod screw hot shoe adapter. The second mount option uses the same Velcro ties, but has a more traditional mounting plate configuration. It provides 1/4"-20 holes spaced 9mm on center alternating with 3/8”-16 holes. The tripod drop mount still provides a standard 1/4"-20 center hole with countersink for a nut. The drop mount area also features additional 1/4"-20 holes for more secure mounting to camera cage rigs as well as ARRI 3/8”-16 mounts with pogo pins for alignment. This mount is useful if you want to mount other gear to the bracket, especially if you’re mounting to a camera cage. I use the internal volume to mount my Tascam audio recorder and wireless mic receiver. You can optionally use the top mount plate with this mount for a super-secure and rigid rig. The top plate slots into the risers snugly. Secure the top to base with two 1/4" bolts through any of the internal holes in the cheese grid. This mount provides the most flexibility for professional operators. It moves the drop mount to a separate printable adapter and just provides the base plate with cheese grid. Similarly to mount 2, you can secure with Velcro straps or use the top mount place with 1/4” bolts. This mount is useful if it is being installed as part of a larger camera rig system or larger cage. I hope this helps you create even better mixed reality experiences, and happy coding!